It’s that time of year when many of us, myself included, are attending holiday office parties, which also means we’re in need of a Christmas party look that is both professional and festive. 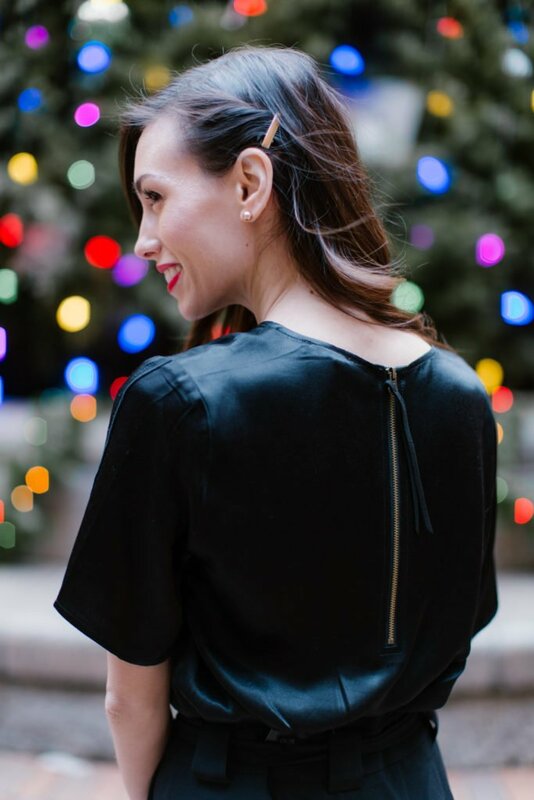 This year, I wanted to highlight an outfit that is subtly festive and effortlessly chic, starting with this satin, zipper-back top. 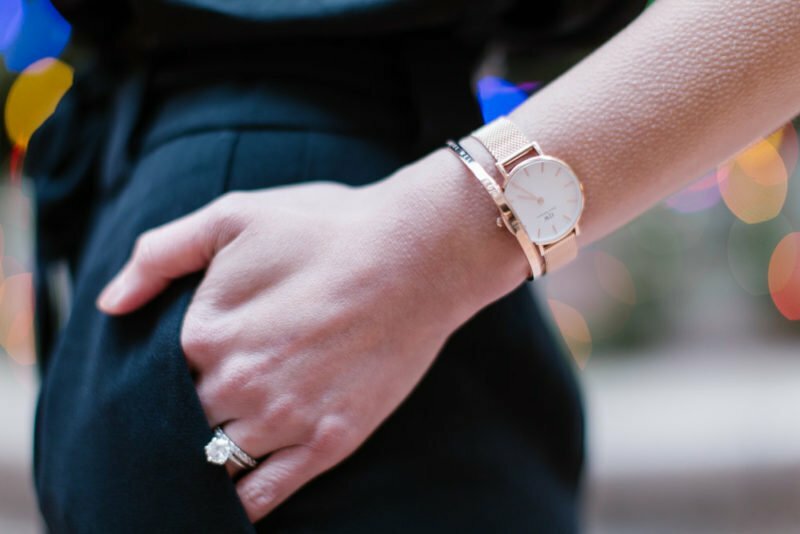 Lilla P is a brand that I’ve worked with in the past (see this post), and sincerely appreciate the quality of their clothing. Their pieces are iconic–think: the classics, but better. It’s easy to reach for pieces with sequins, bright festive reds, and anything velvet during the holiday. What I love about this look though, is that it can easily transition right into post-holiday work wear and beyond, a look that can easily be worn all year round. Pin back your hair to highlight a pair of pearls and a long neckline. 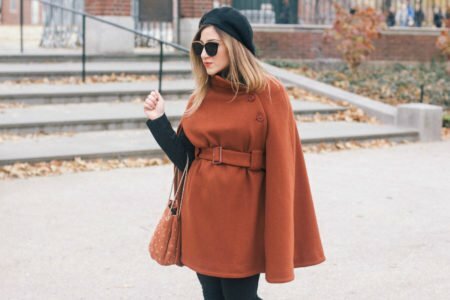 Ashley of Afternoon Espresso in a cozy outfit for holiday time at home. I love this whole look! The satin top is so darling!